Garbage collecting is a strenuous job -- and garbage men don't often see the people they serve and rarely get thanked. If you're giving a gift to the workers who collect your trash, hand it directly to them during their regular pick-up or ask a neighbor to do it for you. For a friend or family member who is a garbage man, listen to his complaints at the end of the day about any aches or pains he has and look for a gift that will help him feel better. Since a trash collector spends so much time on his feet, a foot bath will give him relief at the end of the day. There are models available that produce bubbles and jets of hot water, while some foot baths have a contoured bottom with rollers to massage the bottom of the feet while they're soaking. A back massager will also help relieve aching muscles from all the bending, stretching and lifting that a garbage man does. You can buy a model that rests between his back and a chair, or a hand-held massager that he can use on his back and shoulders. 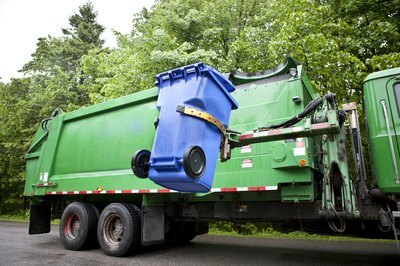 A garbage collector is outside all day no matter the weather -- and in cold weather, the job can be particularly brutal. Give him hand warmers that he can put inside his gloves for those frosty days. 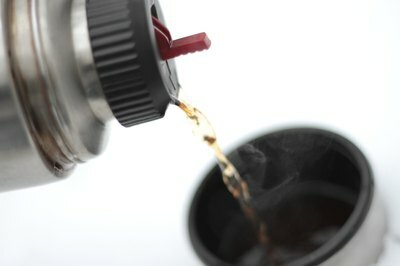 You can buy one-use warmers in bulk, or buy a more expensive reusable type that he can refill with lighter fluid. Foot warmers or thick socks will also help him stay warm. You might also give him a stainless steel travel coffee mug so he can keep coffee or hot chocolate warm for hours on the job. Recycling is great, but don't give your favorite garbage man one of your old unwanted gifts and call it recycling. You can, however, find gifts made out of found objects, recycled materials and even salvaged trash. Shop at a local eco-friendly gift shop or search online for companies that specialize in re-purposing objects that some would consider trash. These gifts are cool, kind to the universe and give a nod to the garbage man's noble profession. At the holiday season, a tip is an appropriate gift to give the person who collects your trash. You should tip everyone in the crew, including the driver. 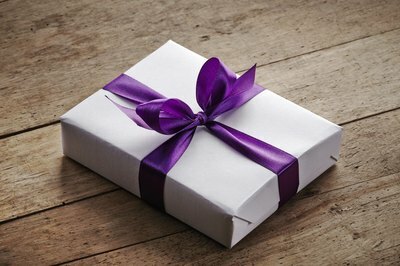 A 2014 GoodHousekeeping.com article suggests giving $10 to $20 to each worker, although you can give more if you feel the crew does an especially good job. Write a note of thanks for all their hard work and tuck the cash inside. Be specific, like "You always do a thorough job, and I appreciate how you always stand the cans back up!" They'll appreciate the cash and feel proud of a job well done.